Decking out vehicles has long been an American pastime. We find ourselves wanting the best of everything for our vehicles in most cases. This statement is especially true of our vehicles’ sound systems. When it comes down to it, the real thing we need to focus on for the best sound quality is the speakers we pick. You have many options out there for speakers, and there are plenty of brands to pick from. 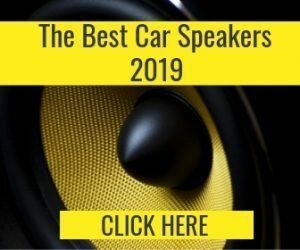 In order to understand all of the best options out there for your vehicle’s sound improvement, here is a closer look at the best car speakers from four specific brands. 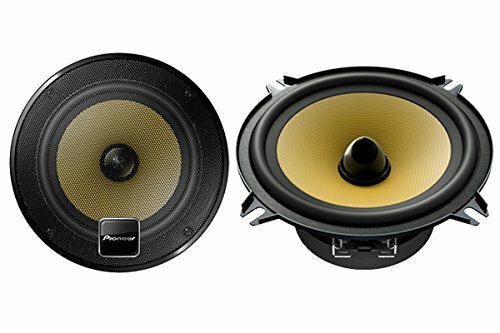 If what you want out of your car speakers is a range of pitch and a rich bass, then you should consider speakers from Pioneer Electronics. This brand originated in Nozomu Matsumoto’s garage, where he started producing audio speakers in 1938. What Matsumoto started, really, was a brand of which to be proud. 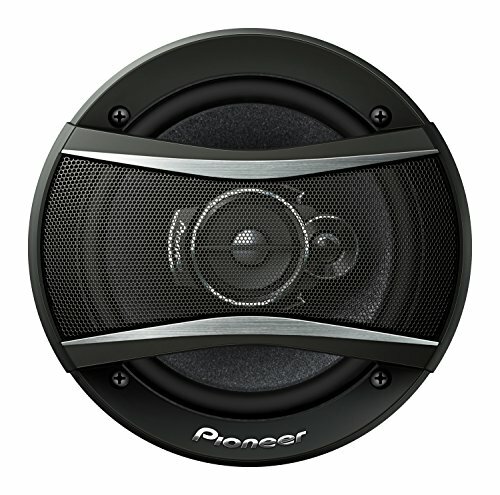 Pioneer produces quality sound for speakers in cars and for homes and businesses as well. In more recent years, Pioneer produced some of the greatest items in electronics, hence, they have become a world leader. Some of the innovations they provided to the world include the laserdisc in 1979, CD players for vehicles in 1984, GPS navigations for cars in 1990, DVD players in 1990, high-definition plasma displays in 1997, and organic electroluminescent displays (OELD) in 1997. Based on this list alone, it comes as no surprise that Pioneer leads the world in electronic entertainment products. Due to the company’s rather large size, they began to create projects with other, smaller companies to make some of their manufactured goods. For example, Pioneer stopped making their televisions as of 2010. They announced a new, joint venture with Sharp in February of 2009 that the two companies would come together and make a side company called Pioneer Digital Design and Manufacturing Corporation. Most of the two company’s television models come from this side project. Similarly, Pioneer sold the DJ equipment business it ran for years to another company. KKR works with Pioneer now to create this equipment through a joint project called Pioneer DJ as a separate entity. This company, like with the collaboration with Sharp, operates as a separate entity from Pioneer Corporation. However, the company still plays a large role as a shareholder in both of these companies. Several other companies own stock in Pioneer proper. The only other large shareholder in the company is Sharp at 14 percent as of 2007. Announcements were later made that this percentage was reduced to nine. Honda Motor Co., Ltd acts as a four percent shareholder in Pioneer as of 2010. Hence, many Honda vehicles come equipped with Pioneer speakers as either a standard or luxury option. Pioneer’s TS-D1330C speakers measure about 5.25 inches in diameter so that they can fit in rather small places with ease. 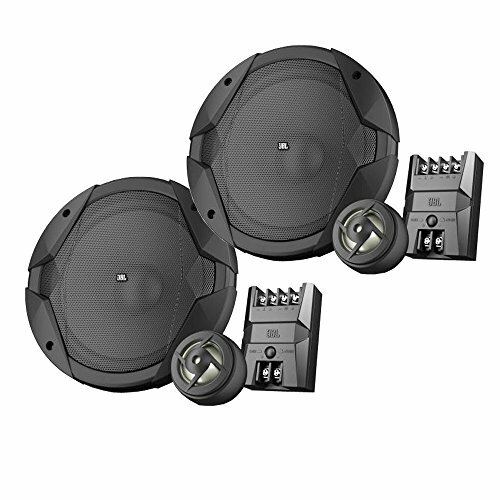 This package comes with a total of two speakers that can be separately mounted independently of one another. Also, they include 0.9-inch soft-dome tweeters, and they have a maximum power of 180 watts. For the sake of installation, the tweeter cutout only needs to be 1.625 inches. The strength of these speakers comes in the form of the Twaron Aramid Fiber Cone, which also generates durability for a powerful sound. Twaron is a type of woven cloth that hardens and shapes into a rigid form to allow low mass cones to operate in free form with ultimate protection. Sounds originate with a specific ambiance from these speakers. At the same time, they offer absolute fidelity with any musical source. Most of this quality sound comes from the Open and Smooth sound concept that makes Pioneer a leader in the industry. The goal here is to simulate an open-stage environment while providing ultimate sounds in a car. Music played through these tweeters should immerse the listener into a specific scene or memory of being at a concert and listening to their favorite songs. Taking a step up from the previous model, Pioneer’s TS-A1676R measures 6.5 inches and works on 320 watts of maximum power. It also offers three-way sound in the channel itself. Due to the three-way sound production, it provides surround sound based on lightweight elastic polymers. At the same time, it uses multilayer Mica Matric cone designs for the best sound reproduction and speaker responsiveness. The cutout for these cones only needs to be 1.75 inches deep. For the sake of being loud and clear, Pioneer developed these speakers with an extra lightweight diaphragm that possesses a higher state of rigidity. Therefore, these speakers can stand up to a beating when it comes to blaring those base cords. At the same time, the A-series speakers as a whole properly use the Mica Matrix to avoid internal sound loss. 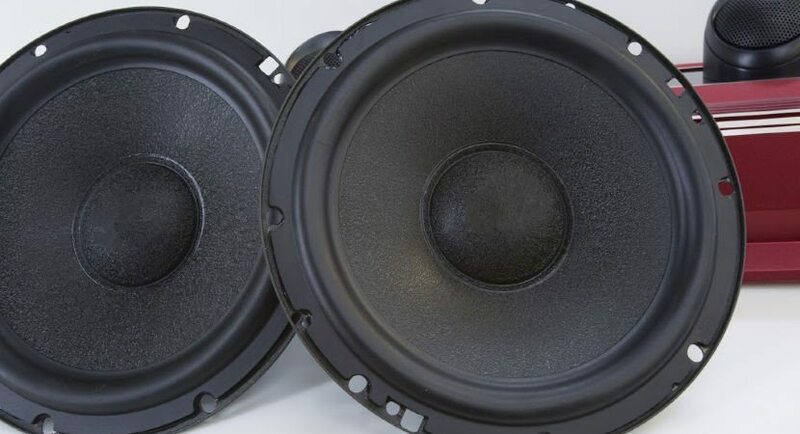 For an added bonus, these speakers have also been coated with a waterproof resin in order to protect them should you leave your windows down by accident. Such exposure to the elements could kill other car speakers. The TS-A6996R measures at six inches by nine inches, making it Pioneer’s largest speaker. At the same time, they offer five-way sound at a maximum of 650 watts. This speaker is truly great for every listening experience you want out of your car. Furthermore, they also include the Multilayer Mica Matrix cones, but a woofer comes installed with this model. This speaker also includes a soft-dome tweeter with a waveguide to provide multi-directional sound conditions. For a better deal, these speakers come sold by the pair. Therefore, you can introduce a balanced sound equation in your listening experience. Unlike the previous model, they are not Marine grade, so they are not waterproof. Unlike with other sound system speakers, you do not have to purchase an entirely new music player. Even a weak OEM stereo provides great sound with this pair of speakers. Moreover, they offer extra bass sound without much of a volume change. 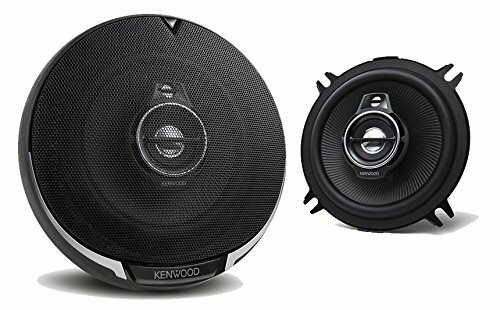 Kenwood Corporation is another car audio systems company based in Japan. They develop and design a range of speakers and other audio equipment to pick from. Additionally, they produce two-way radios and amateur radios, also known as ham radios. It is important to point out that this company is not connected to the appliance manufacturer out of England called Kenwood Ltd. The two operate in different fields independent and separate from one another. Originally, Kenwood Corporation existed as Kasuga Radio Co., Ltd out of Komagane City, a part of the Nagano Prefecture back in 1946. In 1960, however, the company changed to Trio Corporation and established an overseas office in Los Angeles County, California about three years later. During the 1960s, many of the company’s products were rebranded under the Lafayette Radio company and focused on Citizen’s brand radios. Soon enough, Radio Shack started to import the company’s products under A&A Trading Company. Soon enough, Bill Kasuga paired up with George Aratani and Yoichi Nakase to establish another company to import Trio’s products exclusively. This company eventually became known as Kenwood. Kasuga came up with the name Kenwood. In Japan, a popular name is Ken, which is also common to North America. In order to test the playing field for making products more acceptable to American audiences, Kasuga thought adding a company name using Ken would be more appealing than using a blatant Japanese name. Wood comes from relating to durable substances that can be relied on for stability at all costs. Soon enough, brand recognition for Kenwood surpassed Trio within a few short years, so the entire brand renamed itself and left the Trio name behind in 1986. Up until 2008, Kenwood operated independently of other companies. However, during that year, they combined with JVC in a joint merger to pull the resources of both companies together. Many of the products Kenwood produces today include car stereos, yes, but they also produce other entertainment items as well. Some of these items can be found under the JVC Kenwood brand only. Kenwood offers a pair of reliable speakers with their KFC-1395PS model. They work for a maximum of 320 watts and measure about 5.25 inches in diameter. At the same time, they provide three-way car audio with coaxial options. Impedance comes at four ohms, and the woofer add-on features a 5.25-inch paper cone. With most cases, these speakers can only be installed into a car door by taking off the panel first. This situation is true of most car speakers, though. Additionally, these speakers can be installed without being attached to an amplifier. Due to their small size, these speakers can fit almost anywhere with ease. You will not have to worry about struggling to fit them into certain areas of the vehicle and causing damage to the cone or the vehicle. Installation of these speakers is also easy to perform. Hence, you might very well be able to install them on your own. If you do not have any experience with car electronics, though, it would be wise for you to consult a professional as needed. Many people find themselves pleased with these products. This entire line of speakers provides unmatched sound at a fraction of the cost. This is a component speaker system, with a 2-way architecture. 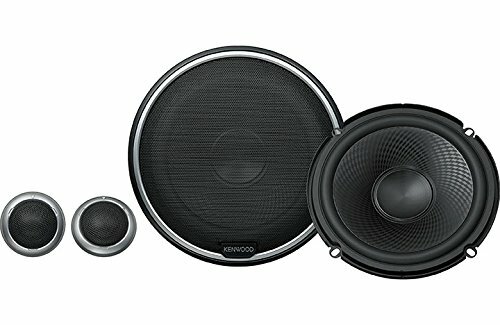 They are part of the Kenwood Performance series, which aims to give a definite upgrade to boring OEM speakers. These are 6.5-inch speaker systems, with two woofers and tweeters in each set. The woofers have rubber surround, with a polypropylene cone and diamond array patterns. The pattern is there to improve bass and reduce the potential for distortions. And the rubber surround is more long-lasting than other alternatives. Accompanying the woofers are complimentary soft dome tweeters sized at 1 inch each. The two components are linked to an inline crossover, which means that you don’t have to worry about installing bulky external crossovers. The system has a peak power rating of 280 watts, with RMS being close to 80 Watts (with 140W and 40W RMS per speaker). Sensitivity is indeed low at 86 decibels, while frequency response is acceptable at around 63-24000Hz. The sound output is very loud and clear, with deeper than usual bass. The tweeters do a reasonably good job handling the highs, including vocals. Priced reasonable, Kenwood is a compelling alternative to stock coaxial. The lack of external crossovers helps with the installation, and the innovative design of the cones give a welcome bass boost. The tweeters are slightly fragile, which is the only major flaw we could find in this solid aftermarket set from Kenwood. 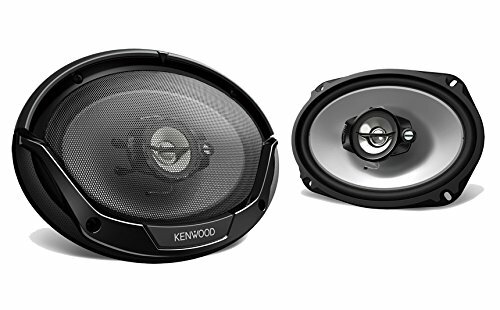 In order to make the most out of your listening experience, you should consider these four speakers from Kenwood. The KFC-6965S model works on a maximum of 800 watts, and they measure six inches by nine inches in an oblong shape. Moreover, they feature three-way sound and a coaxial listening experience. These four speakers work on a minimum of 45 watts, and they include four ohms of impedance. Inside these speakers comes a two-inch tweeter that provides PEI balanced domes. Additionally, these speakers come with a second tweeter that measures one inch and consists of ceramic materials. Grills come included on the front of these speakers. 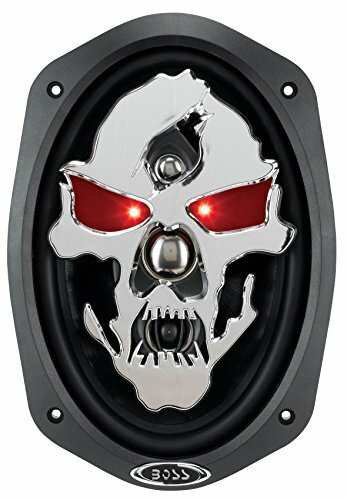 If you want to add a great deal of sound to your vehicle with ease, then you should really consider these speakers. They provide paramount sound. Despite their size, they can fit into many, different places in your vehicle with ease. Once more, you might have to remove your door panels in order to install these speakers. Be sure to cut out the panel closer to the size of these speakers as possible. Otherwise, they will become loose and fall out. JBL makes all type of speakers. Some of their portable speakers have become extremely popular for connecting to smartphones, MP3 players, and tablets. Therefore, you can have a quality listening situation right in your home. However, you can take that listening experience to your car with ease as well. The speakers JBL makes for their cars come with superior technology that rivals many other brands on the market. This American-based audio electronics company was founded in 1946 by James Bullough Lansing. His initials are from where the name of the company originates. 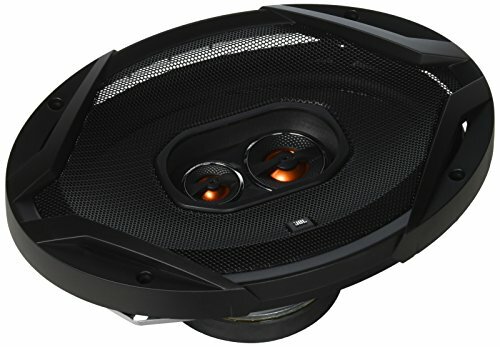 Their primary products originally focused on loudspeakers for concerts and stadiums, but they have since narrowed down their focus to portable and car speakers, as mentioned previously. Within the company are two divisions: JBL Consumer and JBL Professional. Under the Consumer label come the portable and car speakers. On the other hand, the Professional label comes the company’s DJ equipment and speakers used for concerts and outdoor arenas. They also provide studio equipment for recording studios as well. JBL started as a part of Altec Lansing, a previous business venture James Bullough Lansing took part in. He only kept with that partnership for one year before making a break off to create JBL a year later. Originally, the company was called James B. Lansing Sound, and the first products were indeed loudspeakers. Their first loudspeaker remained in production until the 1970s. Another product they made for a long time, 55 years to be exact, was a transducer called the D130. It measured about 15 inches in size. Afterward, they produced a voice coil with a flat wire and an Alnico V magnet called the D130. Soon afterward, they produced a 12-inch model named the D131 and an eight-inch model named D208. These models also used cone drivers. JBL did not have much production space at first. Soon enough, Marquardt Corporation gave them some early manufacturing space as well as a sizeable investment. This investment really allowed the brand to take off and perform better with its creations. Instead of working from order to order, the company could suddenly produce mass quantities for market situations. However, customers can still make custom orders as needed today. If you want a speaker with high-sensitivity as part of its design, then you should consider JBL’s CLUB5020. This exposed speaker is one of the higher quality produces JBL produces. It only weighs about 2.8 pounds and measures 10.5 inches by 1.5 inches by 2.8 inches. 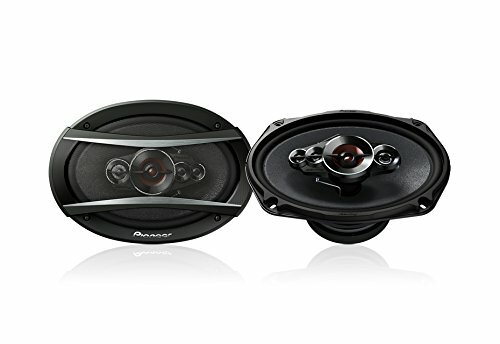 They work much better than the original speakers in many vehicles, and they can be installed with ease. Most of the time, they will fit right into the cut out already made for your old speakers, but you might have to do some cutting for a snug fit. Be sure to consult a professional if you have not installed car speakers on your own in the past. This statement is especially true if you do not know how to pull out a door panel and put it back in again. Two speakers come with this package, and a pair of optional grills can be used as well. Eight mounting screws also come with the package. Furthermore, it includes the adapter rings you will need for further installation. 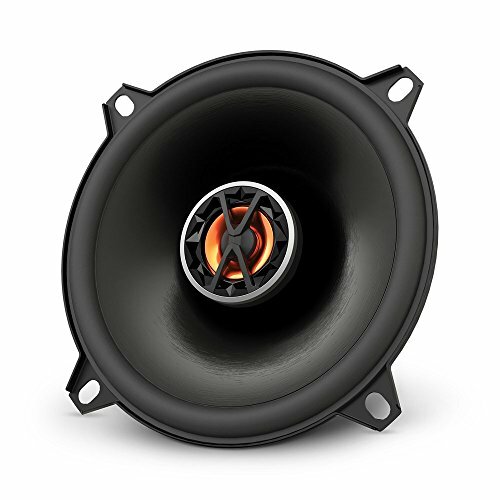 JBL is an excellent brand for the average car audio consumer. They don’t charge too much for their products, most of which have excellent engineering and performance. You can often get outstanding value with their products, and the same seems to be the case the GT7-6C we are reviewing here. This is an extremely modestly priced component speaker system. If you want a cheap yet quality upgrade for your stock coaxial setup, the JBL speakers seem like an irresistible proposition. You get a set of two 2-way component speakers, meaning two woofers, two tweeters, and two crossovers in this set. The woofers are reasonably sized, at standard 6.5 inches and sporting a proprietary Plus One design. They have a durable polypropylene cone, surrounded by an envelope of rubber foam. The tweeters are much smaller of course, at just under 2 inches in size, with a dome design and PEI material construction. Power range is of course on the lower side, with 150 watts peak and 50 watts maximum RMS, but that is not a major issue at the offered price. Sensitivity is better than much higher priced models at 92 decibels, and the frequency response is par for the course at between 50-20KHz. On the performance front, these speakers deliver excellent bass thanks to that Plus One design. And the tweeters are also pretty good at delivering crisp and clear highs with minimal distortion. The midranges may not be up to the mark, but since this is a 2-way system, that can be forgiven. As an upgrade to stock OEM setups, the JBL GT7-6C offers a compelling argument in its favor. And the lack of any major flaws just makes them more enticing. Often, it is better to look for a higher priced coaxial set rather than a much cheaper component system. Though the latter may offer better performance than coaxials, cheap speakers and crossovers can dent their performance. From this perspective, the JBL GX963 look like very interesting 3-way coaxials ideal for the first-time upgrade from stock audio. The GX963 are incredibly stylish looking speakers, in a 6”x 9” size format. And they also feature the popular Plus One design, which enables the woofer cone to give improved low-frequency outputs. Add to that a tweeter and super tweeter, and you have expanded high-frequency range as well as these speakers. The woofer cone is made of durable polypropylene, which is the same material used to make the edge-driven super tweeter. Both the tweeter and super tweeter have a dome-shaped design. The power range of the speaker system has been rated at a modest 100 watts RMS and has a peak output capability of 300 watts. While sensitivity is excellent at 94 decibels, the frequency response is bog standard at 45-21000 Hz. An interesting feature is the lower than average impedance, which has been kept at 2.3 rather than the more common 4 ohms. 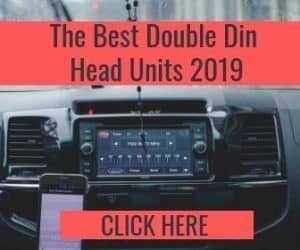 This is intentional, to safely drive more power from your amp or head unit. The result is extra punch and bass, thanks to the Plus One design mentioned earlier. On the downside, the tweeters and super tweeters are a bit of a letdown, which is not surprising, to be honest. Nonetheless, the GX963 is a good option for an upgrade from stock systems. Boss Audio marks the position of the youngest company in this group, but they have made many innovations since they started 30 years ago. 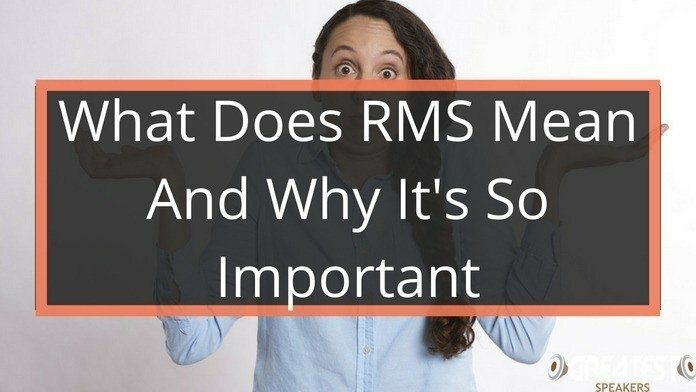 Not only can their products be found in cars, but they also make items for mobile systems, the Marines, power sports, and even video items. This company worked closely with Apple in recent years to introduce their Apple CarPlay system into many vehicles. Apple CarPlay works on Apple products only, of course, and it can directly sync with iPads, iPods, and iPhones to deliver sound to an entire car audio system with ease. You do not need to program your audio devices to work with Apple CarPlay each time it enters a car. Only one setup needs to be done, and the two systems will automatically sync every time afterward. Music will automatically start playing with Apple CarPlay made with Boss Audio every time you turn on your car. Boss Audio systems began in 1987, and the company keeps growing even today. They specialize in producing a quality audio sound for several business sectors. Ultimately, their goal is to include as many feature-packed products on the market as possible. This company also focuses on being a bargain brand without the bargain quality. Most of their products far surpass competitors’ models, and these products come at a fraction of the cost. The company’s headquarters is located in Oxnard, California, but they also have two other plants located in Chicago and Miami. Both of these locations remain quite busy throughout the whole year producing any of the product lines Boss Audio offers. At the same time, the company contracts with businesses in over 130 countries around the world, making their products some of the most widely available in the world. While most of the design process takes place at the California location, the company has another branch in Shenzhen, China that also helps the process along. Above all, Boss Audio aims to be a leader in the sound world. They practice as making innovations each day to better people’s listening experiences as much as possible. Many of their products go into automobiles, but they also offer some items that go into power sports. As part of this line, the company provides outdoor listening gear, including extremely beefy and powerful boom boxes for people to use on the job. Their equipment can also be found at large outdoor arenas that run events like BMX and dirt biking. Boss Audio’s NX524 measures 5.25 inches, meaning they can fit almost anywhere with ease. These speakers work on a four-way system and up to 300 watts of power. These speakers include four-ohm impedance and frequencies between 85Hz and 30kHz. Sensitivity ratings hover around 90 decibels. The woofer cone includes poly injection for strength, meaning they will also be able to dissipate sounds with ease. At the same time, the voice coil measures one inch in diameter, and it is made of aluminum. Surround casing on this model consists of rubber agents, and the basket containing the woofer has been cast from materials that also help with sound dissipation. These speakers come with two tweeters and one, 1.5-inch Mylar Cone that functions as a Midrange Per Speaker. Additionally, the two speakers in this package come with two magnet covers and a pair of matching grills. For the sake of a snug fit, these speakers measure six inches by six inches by three inches, and they only weigh about 3.8 pounds. Boss audio also supplies a more standard sized speaker with the P65.4C speaker pair. These speakers measure 6.5 inches in diameter, and they have a 400-watt capacity. They also provide a four-way listening experience. With an impedance of four ohms, these speakers keep up with the market standard and then some. Frequency responses exist between 65Hz and 20kHz, much like the last model looked at above. Sensitivity levels hover around 94 decibels. Electroplate injection stands as the technology behind the woofer cone’s construction, and the voice coil, made from aluminum, measures about 1.5 inches. The surround casing is made from rubber, and the mask comes as part of a casting mechanism. Two grills and magnet covers also come with these speakers, so you can customize your look a little if you wish. Instead of just having the entire speaker covered up and melding back into the door panel naturally, you can leave the speakers exposed for a more technical appearance. Each of these speakers measures 5.4 pounds, making them some of the lightest speakers out there on the market. Therefore, they are easy to handle and install on your own. 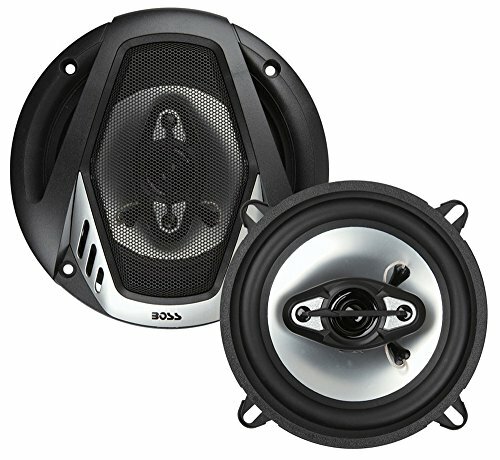 Boss Audio also provides a 3-year dealer warranty with these speakers. 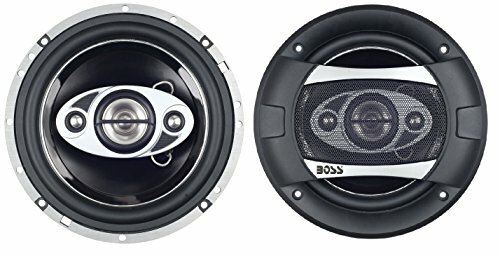 In case you want to customize the look of your car’s interior appearance along with increasing its sound quality, you should think about Boss Audio’s SK694. These speakers come with die cast pictures on the grill. Some of these die-cast figures can be special ordered from the company, but many designs already exist on the market. These speakers run on 275 watts of power, and they offer a three-way sound direction. At the same time, they have low impedance at four ohms, and they also have a frequency response between 40Hz and 20kHz. Only 92 decibels consist of the sensitivity rating, making the listening experience with these speakers rather easy on the ears. Furthermore, the woofer cone comes from poly injection materials, and the voice coil measures about 1.25 inches in total. Also, the voice coil comes from aluminum materials. 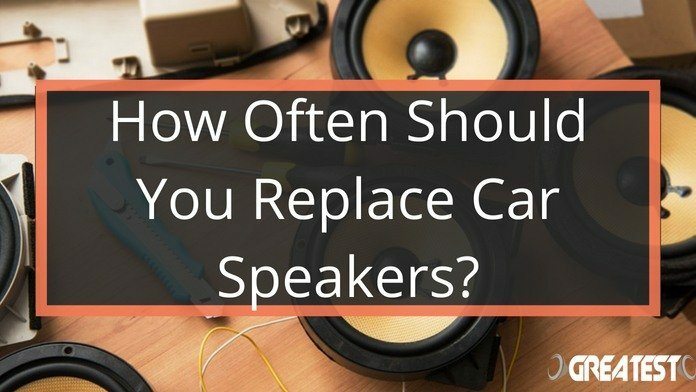 Many speakers exist as options for your vehicle. Speakers looked at on this list, though, happen to be some of the best on the market. Brands behind these speakers provide the industry with much innovation and vast listening experiences. Therefore, finding the right sound quality and experience inside your car possible is easy to create. 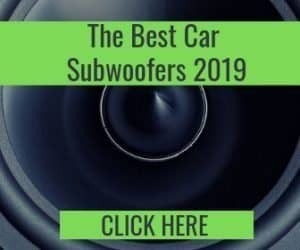 When it comes to changing your car’s listening environment, you should certainly look at some of the brands above. At the same time, their products will not fail you in your quest for stellar quality sound while driving or riding in a car. Impress all of your friends and family with one of these options, and everyone will want to join you for the ride.